The UK’s only nationally recognised scheme for STEM project work, the CREST Awards, recently turned 30. In that time, more than 400,000 young people have been involved with the scheme. It now reaches 30,000 students each year. Run by the British Science Association (BSA), CREST is an education enrichment scheme open to five to 19-year-olds, encouraging young people to do real-world, creative STEM projects and giving students hands-on experience of being a scientist or engineer. 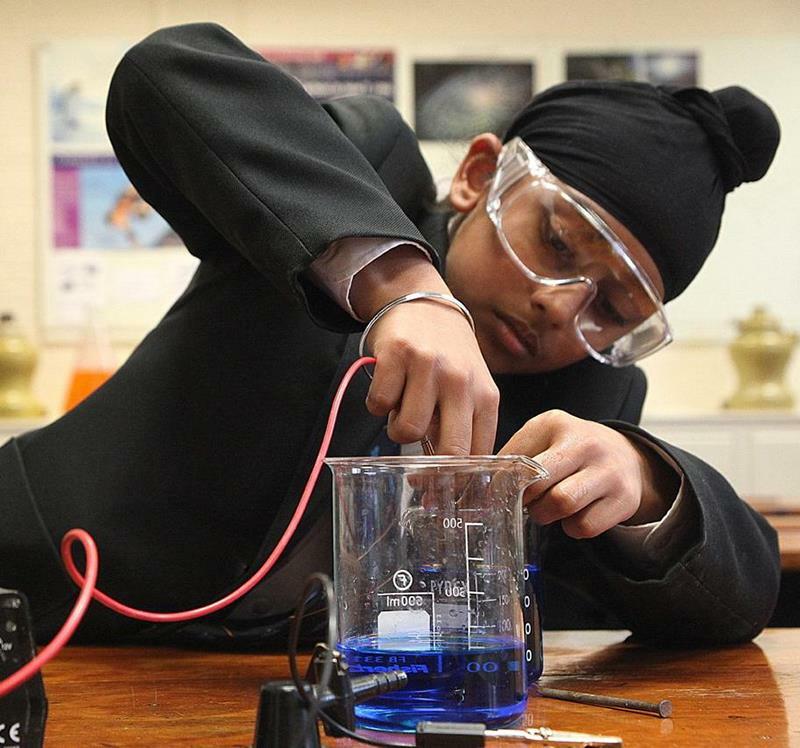 The scheme was set up to give young people the chance to run their own science projects on whatever subject they choose. It allows them to build their skills and demonstrate personal achievements through their own investigative work. The core ethos of CREST, encouraging student independence, creativity and practical skills, are just as essential today as they were 30 years ago. I know from personal experience the power a CREST project has to enthuse and inspire young people (I achieved my Gold CREST Award in 1997). Starting a CREST Award may seem intimidating at first – especially when it comes to giving students more autonomy and direction over their projects, it can be hard to know where to start. We have lots of resources to help ease the way on the CREST website. You will find guides, project resources and top tips there, as well as the details of our local coordinator network, which will be able to provide all the materials to get you started. Star: mainly used in primary schools and comes with a ready-to-use resource bank of short challenges typically undertaken by five to 11-year-olds. Discovery: A great first introduction to project work, these take about five hours and can be done in one day (typically undertaken by 11 to 14-year-olds). Bronze: Around 10 hours project work typically undertaken by 11 to 14-year-olds. Silver: Around 30 hours project work typically undertaken by 14 to 16-year-olds. Gold: Around 70 hours project work typically undertaken by 16 to 19-year-olds. When the award level has been decided, you and your students will need to decide on a project. We know this can be quite a task, so you can find a wide variety of “pick up and run” activities available to download from the website, as well as some accredited resources and activities from other STEM providers. There are resources for each award level that give teachers an easy-to-follow guide to run project work with their students. The great thing about the scheme is that students do not have to be stuck in the classroom to complete and receive an award. Project ideas can be created by students, teachers, organisations or local businesses, and the awards can be achieved in numerous contexts. We work with many different organisations based around the UK, such as the National Space Centre and 3M, to offer more opportunities for students to be involved in the scheme. If a young person were to complete the rocket-building workshop that is run by the National Space Centre, for example, this would make them eligible for a CREST Award as we have linked the two schemes together. If you run a STEM club you can also set up a project and enrich your children’s learning. You could take inspiration from a project run by one cub scouts and brownies group, who built their own rafts to race on a boating lake. As well as the knowledge that the kids acquired from building the rafts, they also reported a lot of fun and laughter when they became overloaded and sank. Their innovative, playful and educational activity earnt them all a SuperStar CREST Award for their efforts. CREST recognises achievements in communication, team-work, research and presentation, so make sure your project takes these into account, as well as allowing the young people to explore science in a real-world context. Once you have come up with your project idea, you then need to register your group with the help of your local coordinator, run the project (the fun part), and then assess the project to achieve the award. This is done either by yourself or your local coordinator, depending on which award level is being completed. Then finally, celebrate your achievements. Throughout its 30-year lifespan, CREST has accumulated a strong evidence-base for the positive impact the scheme has on the young people, teachers and schools that are involved. Earlier this year, we published a report produced by a team of volunteer economists from Pro Bono Economics, which revealed that students who have taken a CREST Silver Award achieved half a grade higher on their best science GCSE result and were more likely to continue with STEM education (compared to a matched control group). We want all young people to value science as a part of their culture. CREST allows them to take ownership of their learning, to be scientists and engineers, solving problems creatively and applying science in a real-world context. For those that get mentors, CREST also facilitates valuable interactions with STEM professionals. All this hopefully develops both their skills and knowledge, while fostering a positive attitude towards STEM. Maria Rossini is head of education at the British Science Association.